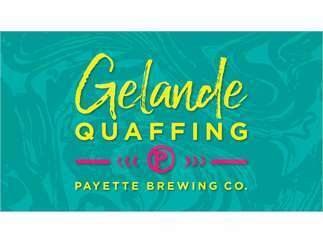 Gelande Quaffing is back and this time it is at PAYETTE on the production floor! The competition is fierce, the beer is cold and this time it is a ONESIE PARTY! This is tournament 4 of 5 this season and it'll be a sight to see. All you need is $40, a team of four, and love for fun and beer! Visit the Payette Brewing website for details on prizes and upcoming competitions, there is a prize for best dressed, just saying ;) It is just as fun to watch as it is to play so come out and support!